S 30° 19’ 58″ E 103° 18’ 31″ – The showers overflow when the ship rolls. Lunch often resembles the previous night’s dinner, and one researcher slouched on the sofa in the scientist’s lounge grumbles, “My four-year-old and her friends party more than this.” So much for quality of life. But the location and neighbors are little-explored and could give that researcher a shot at publishing a handful of original papers. That’s enough of a draw for a couple hundred scientists and technicians to abandon their homes and families for a month or two each. All the researchers here are specialists of one stripe or another, and the Hespérides is like a small hostel, a stopover in the mobile city of science. Berta Companys Oliva, one of the youngest scientists aboard, joined the Malaspina expedition in Cape Town, will disembark in Sydney and has no idea where she’ll work next, except that she wants to do marine sciences. Her experience is a miniature model of the growing mobility of scientists throughout Spain. They may only be bound for a Ph.D. in the United Kingdom or a postdoctoral position in the Netherlands, but in another sense they are trading away their geographic and social stability, at least for part of their lives, to become citizens of the city of science. Companys’ wide horizons are more common among young researchers in Spain now than they were in 1971 when Dolors Blasco Font de Rubina left Barcelona for a post-doctoral position in the United States. 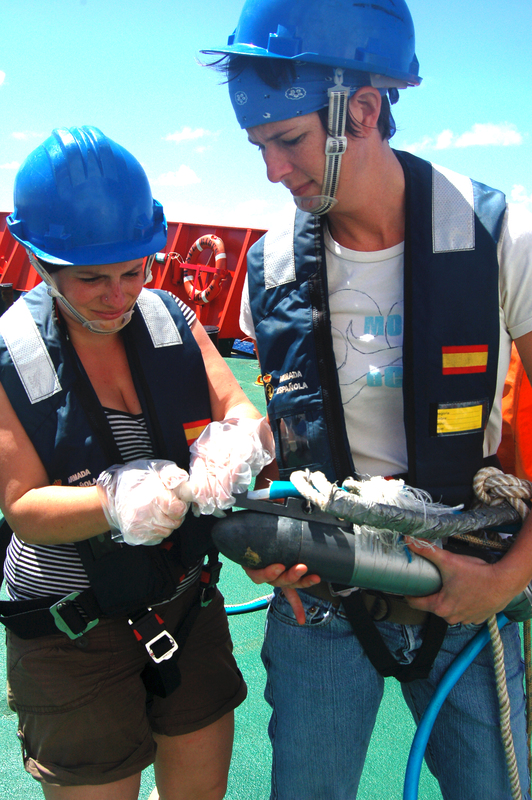 The biological oceanographer lived in four cities in North American before returning to Spain, where she now works at the Institute of Marine Sciences (ICM) in Barcelona. When she returned two decades later she found that more and more of her compatriots were going abroad for parts of their careers, thanks in part to requirements that applicants for certain senior research positions spend two postdoctoral years abroad and in part to grants promoting mobility. 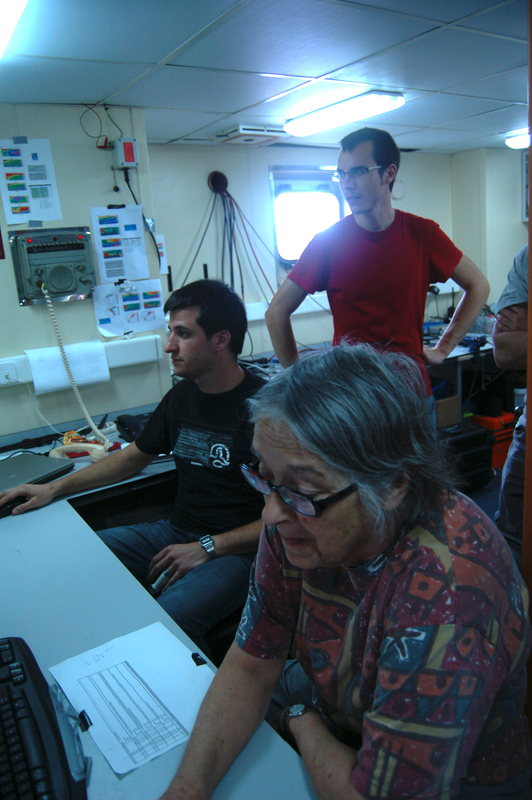 Openness to working with foreigners is a change from the Spanish Navy’s attitude on the original Malaspina expedition. When Alessandro Malaspina, an Italian, tried to invite two Italian painters to join his circumnavigation, his Spanish superiors told him to hire Spaniards, instead. Malaspina did as ordered, but fired one of the painters for insubordination in Lima and brought in an Italian specialised in perspective, a recent development at the time. The anecdote isn’t just a case of playing favorites, though, since in the meantime Malaspina assigned a Spanish sailor to apprentice to the remaining painter. “To collaborate, you really need to understand each other,” Blasco says. “You have to trust that the other person will collect the data the same way you would. It’s very personal.” Finding those matches in a specialised field means looking far and wide. Yet today, even within the European Union, taking matches made at a conference or on a cruise, and converting them into professional invitations to work at the same institution can be a struggle if the invitation crosses borders. The reasons range from the logistics of moving people and families long distances to bureaucratic barriers. For instance, a new Spanish rule limits non-residents’ access to Ph.D. funding from Spain’s Ministry of Education and the Ministry of Science and Innovation (See Nature‘s coverage here: Spain limits PhD fellowships for foreign students). Similar residency rules apply to many state-subsidized courses of study in the United Kingdom and United States. If the Balearic government applied the same rule, however, Alexandra Steckbauer, an Austrian citizen and graduate student at the Mediterranean Institute for Advanced Studies (IMEDEA) in Mallorca, would have had a harder time funding her Ph.D. and might not have made it aboard the Hespérides. Images: Dolors Blasco Font de Rubina at work (foreground) together with Xavi Vidal and Martí Galí; Austrian Alexandra Steckbauer (left) at work with American Amanda Dorsett / Lucas Laursen. Map indicates approximate location of dispatches.